A serviced IT sector ensures productive work and higher business results. We provide comprehensive IT and management services. We don’t just sell software packages, we sell turnkey systems. A regularly serviced IT sector ensures productive work and higher business results. Vertitech provides comprehensive IT servicing and management services which is defined following a detailed analysis of the company’s IT sector. 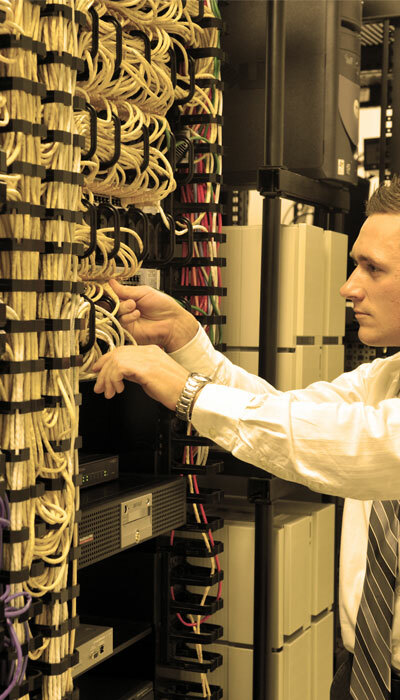 Support & Maintenance of network equipment. Installation & Monitoring of operational systems, office programs and other standard application programs. Companies which have their own IT teams often turn to Vertitech for specialised assistance, specifically for the implementation of larger scale IT projects, software updates and data or system migration projects. We offer professional consultations on IT architecture and system design, and advise on long-term, strategic IT solutions. Movement of work places to other premises. Standardisation of computer work places. Design and installation of new computer networks. With more than 6 years of online experience, we use deep technology expertise to build robust and custom websites, mobile apps, web designs and search engine marketing. Deciding on which ERP system or new accounting package to invest, may be a complex process. We, at Vertitech, have an in-depth understanding of this process and can offer you a turn-key solution. After analyzing your business requirements, Vertitech help you review, install, configure and support of your new ERP system. Vertitech IT services gives your company the opportunity to act “big” by giving the technology and expertise similar to the one large businesses have. With specific IT knowledge, Vertitech manages most of your business risks, especially in security and compliance matters. We understand the limitations most SMB’s have in resources and the challenges they face in securing up-to-date, new technologies and systems and that is the reason why we focus on generating added value for every client.